Robinson did however add that the new 457 visa changes have meant that international talent must have a degree to be recruited in Australia in the first place. "The only time where you need a degree is just if we're bringing in talent from overseas as per restrictions around the 457 changes. That's the only time we get really granular with it otherwise it's definitely something we want people to have but its not scrutinised," she said. Did you catch these stories from the same panel? Are university degrees still relevant in advertising? We've all heard the stories of top CEOs who dropped out of high school and those that managed to succeed without a degree, but top industry recruiters believe university degrees are becoming more important when it comes to landing a job in advertising. 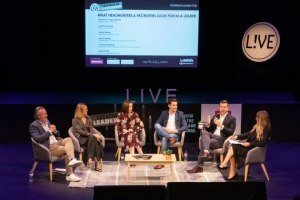 Speaking at AdNews' Lessons in Leadership event, Hourigan International leadership consultant Simon Hadfield said while not having a degree never held him back from landing positions DDB, Saatchi & Saatchi, BWM Dentsu and other agencies, it has become more of a requirement from employers today. That said, he added that there are rare cases where an individual without a degree is selected if they've got involved with programs such as The Communications Council's Award School. 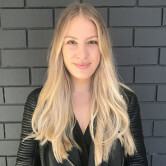 Also speaking on the panel, Iknowho consultant Sheryn Small said individuals are more likely to get into agencies without a degree compared to a marketing department, where university degrees are essential. She argued that while degrees are a good step to getting a foot in the door, it's the experience you build on top of that initial degree that can accelerate your career. "In my experience, people don't always need a university degree in agency world but they do need to have demonstrated some kind of learning - whether that's taking themselves to Ad School or doing a course in UX at General Assembly," Smith said. Small was speaking on the panel alongside Publicis Communications talent acquisition director Courtney Robinson, Scout managing director Patrick Flaherty, Hourigan International leadership consultant Simon Hadfield and Commtract CEO Luke Achterstraat. University degrees certainly can build a stronger resume for graduates, but Achterstraat said it doesn't guarantee you a job. "Having a degree is necessary but not sufficient for someone to be work ready. We've all employed graduates who can't really even sort themselves out on their first day, but they've got a high distinction average," he said. Emerging leaders don't need to have a communications or marketing degree to progress in the industry, Robinson said. She said the industry is welcoming of people from different backgrounds, such as law and architecture.